Hard to believe 2012 is coming to a close, isn’t it? For me personally, this past year feels both like a blink and an eternity all at once. I can’t believe that just a year ago, I was about to embark on my last semester of college. My classmates and I headed back to campus in January with an infinite amount of excitement en tow – it was almost electric. We were ready to enjoy a series of lasts without fully realizing the finality of graduation. With #YOLO leading the way, we charged through spring managing to balance academics with plenty (and I do mean plenty) of fun. From cruising off to the Bahamas for Spring Break to singing the alma matter with a degree in hand, this has been one heck of a year. And did I mention that life in the “Real World” also commenced? It’s certainly a change from college life, but parallels do exist. It’s about squeezing in just enough fun to make the tough days bearable, and remembering that no matter what, it’s the people that make every chapter of life worth living. 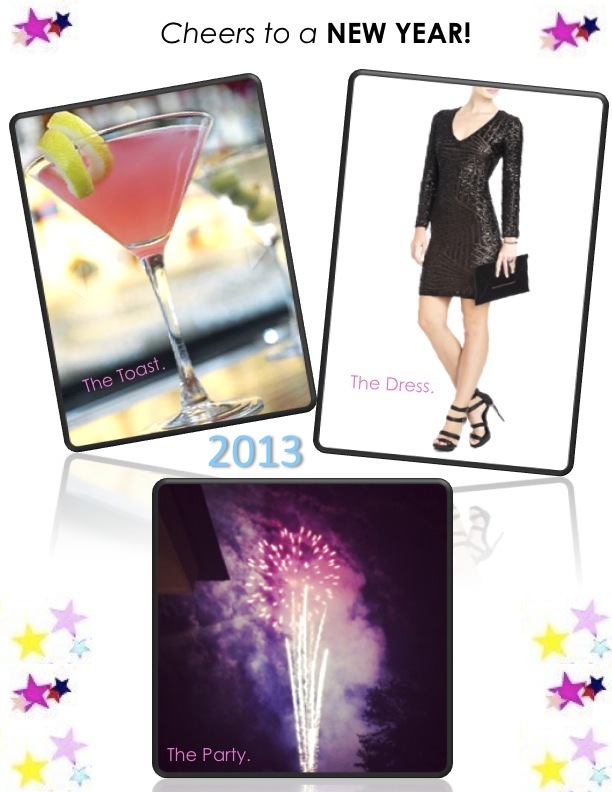 Here’s to a fabulous, prosperous, and healthy new year – live the life you’ve always dreamed of!